Have given it a try (MOV to XVID) and it works but i can not get the bit rate i want. Manually set it to 8000 kbits/s and all i get is around 2600 and the output is really pixelated. No where near the quality i want or need. Also, is it possible to get a double pass to improve quality? Great Idea I just can't use it. What I'm looking for is a drop folder where audio files are dropped. The program picks up any files and converts to new setting automatically. Which I'm sure you will do next. So did you publish Digiday's comments just so we can all see how stupid he is? Well, it worked. might be right, I might as well try to use VLC for all my transcoding. I don't publish the comments, that's you guys! Similarly, I didn't write ffmpeg. ffe is a front-end only. I can't add or remove features to ffmpeg, simply enable you to access them in a graphic user interface. 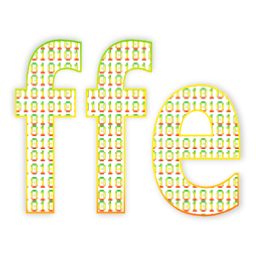 If you want to add features to ffe, feel free to download the free source code and go for it. It will be easy, right? As for Matroska format, have you tried -f matroska (or just using .mkv as your output extension)? And you guess wrong. It's fairly clear from the text here that the .org that not only am I a native English speaker and writer, but a bloody good one! It's a piece of software, an "it", not a person, ergo; "itstory". I've had dozens of comments and mails complimenting me on how clever that is. You are the first to see it negatively. No comment. speaker Cor, simply because he/she has missed a "play" on words. By having just a quick look around on this site you'd find the authors comments, writings and grammar to be of a very high standard. Even his replies to comments left in this message area are concise and informative. You could call me a bit of a fan of this site now, where I've purchased Checksum, simply because the software is reliable and for me very useful. Hey Vorlon! Great to see you dropping into a non-checksum page! These comments sure can be a source of amusement. I especially enjoy how much complaining folk do about something they are getting for free! If i remove ffe.ini, it works fine, but when I put ffe.ini back in the folder, this problem shows. Seems it's portable version bug with ini file? "Yeah, I just pulled it. ffe2 will be with us in a few days." WTF ? just announce ffe2 and leave the old ffe link alone !! besides, people always end up needing previous versions. now I have no idea if ffe/ffe2 would cover my needs. Thank you very much for that handy little tool! @Batch: I just entered "*.MOV" in input line and all .MOV-files in current directory are processed without bothering about renaming! How nice and easy is that!? JUST GREAT!